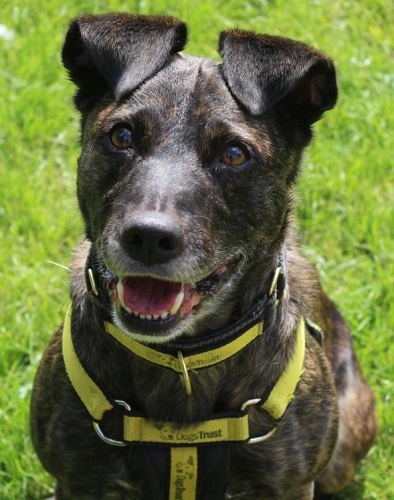 19/11/18 – Pickles has been adopted! Hooray! 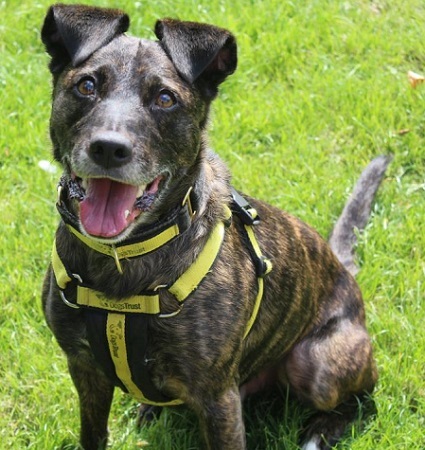 Gorgeous Pickles is the star of Dogs Trust Newbury. Everybody loves him there! Despite this, they hope he won’t be staying long – that his perfect home is just on the horizon and ready for him to move into. Pickles is a pretty brindly boy of around 7 years old. Or what we call a young oldie. 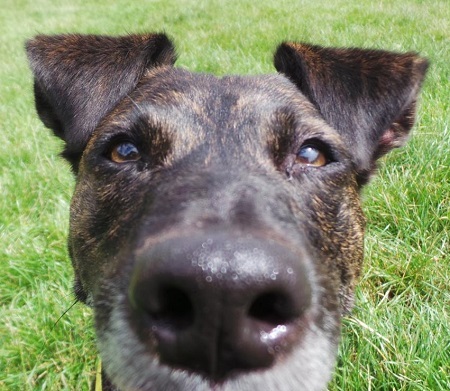 Pickles (aka Mr Branston) is a playful chap who adores playing fetch and tug with his carers. He also enjoys having snuggle time on the sofa in the afternoons. He is just so much fun to be with. He has a sunny outlook on life and has a lot of love to give. 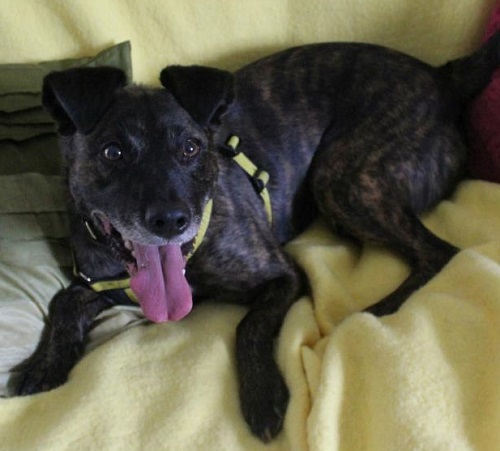 Pickles’s perfect home would be a quieter one with two or more adults and where he can be your only pet. He can live with calm teenagers, but not young kids. He is a recent graduate of several training programmes at the centre where he passed with flying colours! He just can’t wait to show off what a good boy he is! 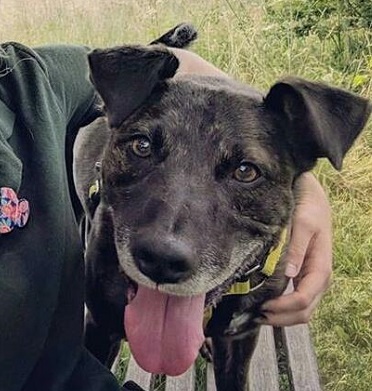 Pickles enjoys being out and about with his doggy pals at the centre so could possibly make friends with another dog with a bit of guidance. He doesn’t mind seeing them out, but he does prefer to be your one and only in the home. He is always open to making new friends though. Perfect Pickles would like someone to be around the majority of the time to help him settle in when he first moves in. His new family can work with leaving him a few hours at a time to start with, until he gains confidence that you will return. Because he is a little shy at first, his new owners will need to visit with him a few times at the centre to get to know him and to gain his trust. Once he is used to you, you will have a friend for life! Please mention that you saw Pickles on the Oldies Club website.